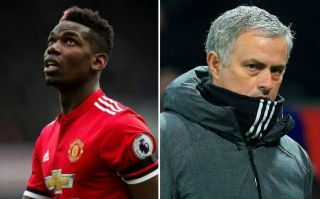 Manchester United manager Jose Mourinho has sent a message to star player Paul Pogba and Mino Raiola about the future of his star player amid transfer speculation over his situation. As noted by the Daily Mirror, Pogba is being widely reported as a target for Barcelona, with the piece claiming the France international is also keen on the move to the Nou Camp. Mourinho insists, however, that the player has not told him he wants out of Old Trafford, therefore assuming he probably wants to stay. The Portuguese does, however, call on Raiola and Pogba to come clean if they are working on getting the former Juventus midfielder out of the club. “I don’t know if that is true,” he is quoted in the Mirror. “I also need the agent to tell me — or tell you in a way that I can see. “If I watch Mr Raiola on the screen saying the players wants to leave, and that he is organising a way for him to try to leave or so on, then I will believe. “At this moment, I am in the dark. The only thing that is clear for me is that the player never – never, in all these days we are together – told me that he wants to leave. United could certainly do without this transfer talk after a tough start to the season in which they’ve lost two of their opening four Premier League games. This follows a trophyless season last year and a frustrating summer in which just three signings came in, with Fred the only one of those likely to become a first-team regular. Despite Pogba not hitting top form for United, he’s shown himself to be a world class performer on his day and could become valuable if he regained that form for his club. Has Paul Pogba been good enough for Manchester United?